Speckled dace, approximately 7 cm (3”) long. Date: 7/8/2007. Speckled dace, caught in Bogard Spring Creek (Eagle Lake watershed) in 2011. Photo by Teejay O'Rear. Scale in cm. Speckled dace, adults. Photo courtesy of Professor Peter B. Moyle. Note: scale is in cm. Speckled dace (Owens speckled dace). Location: Fish Slough, CA. Photo by Joe Ferreira, California Department of Fish and Game. 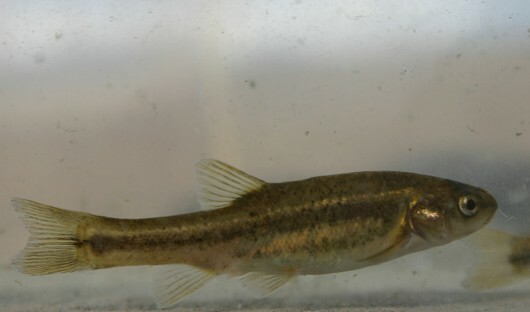 Speckled dace, approximately 7 cm (3”) long, frontal view. Date: 7/8/2007. PLEASE NOTE: The photos and information shown here are for the species Speckled Dace (Rhinichthys osculus), of which the Owens Speckled Dace is a sub-species. Speckled Dace are capable of living in an array of habitats from small springs or streams to large rivers and deep lakes. Speckled Dace prefer habitat that includes clear, well oxygenated water, with movement due to a current or waves. In addition the fish thrive in areas with deep cover or overhead protection from vegetation or woody debris. Speckled Dace predominantly occupy small streams of the second to third order where they feed and forage for aquatic insects. 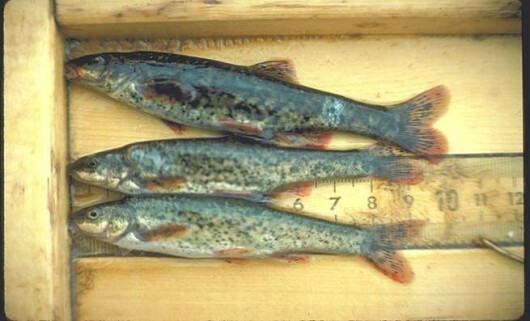 The species is very adaptable and is found in cold alpine lakes such as Lake Tahoe, but has also been able to survive adversity in temperatures at or above 31°C with a dissolved oxygen concentration of 1 mg/L. In streams Speckled Dace swim along the bottom looking for small invertebrates while in lakes they are opportunistic feeders that may feed on zooplankton, algae, nymphs, or the resulting flying insects. 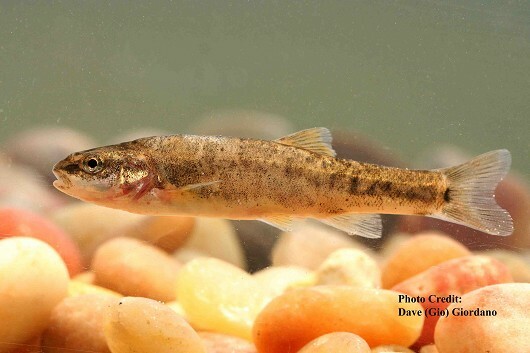 Speckled Dace typically have a life span of three years, but may live 6 or more years, during which time females typically grow more rapidly than males. The fish become sexually mature in their second year and during the summer months the dace spawn. Stream dwellers spawn in riffles or gravely areas, while the lake inhabitants spawn in tributaries or in shallow shoreline regions. The embryos hatch in 6 days, and the larvae remain in the safety of the gravel for 7-8 days. 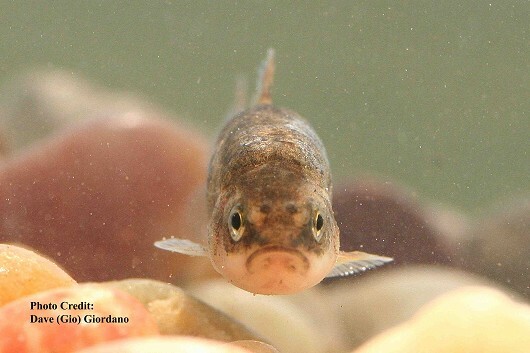 The young fry then spend the early part of their lives in the shallow warm areas of the stream or lake where they hatched.